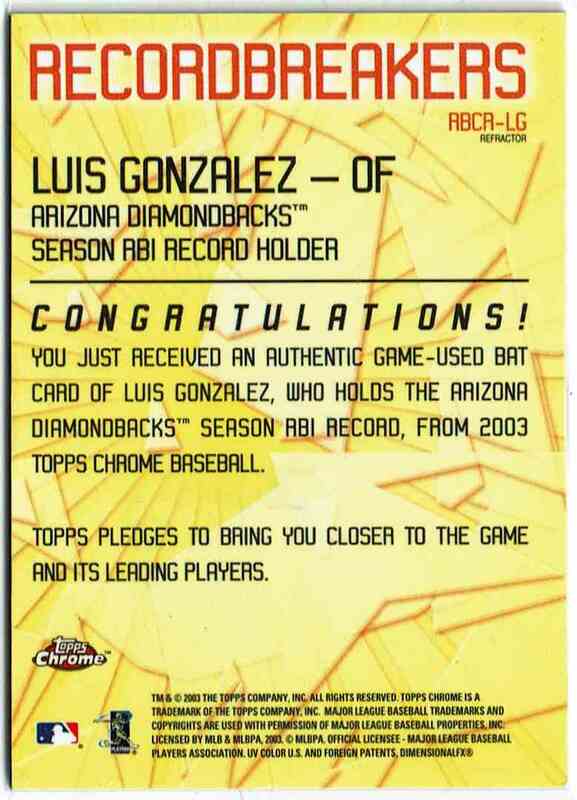 This is a Baseball trading card of Luiis Gonzalez, Arizona Diamondbacks. 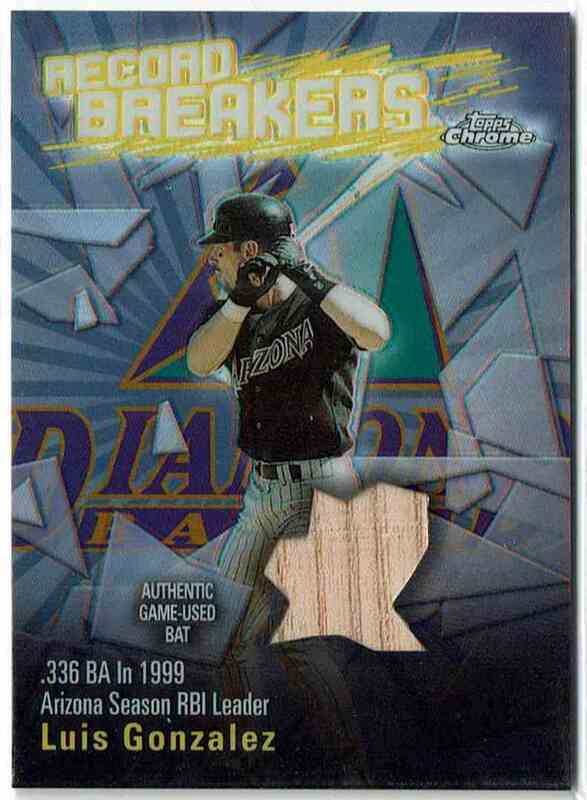 It comes from the 2003 Topps Record Breakers Relics Refractor set, card number RBCR-LG, embedded Bat. It is for sale at a price of $ 8.99.